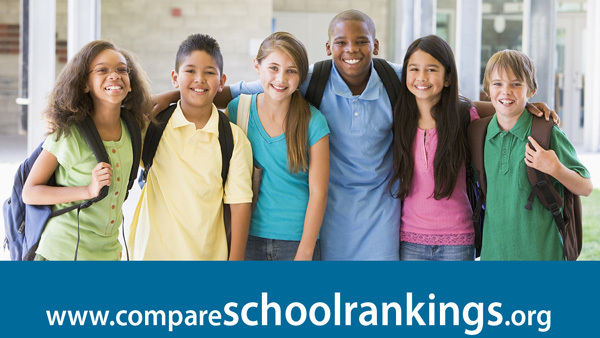 The Fraser Institute’s school rankings website provides a detailed report on how each school is doing in academics compared to other ranked schools. It also shows whether the school’s results are improving, declining, or just staying steady over the most recent five years. Search for a school, by selecting from these links. The Fraser Institute ranks schools using objective, publicly-available data such as average scores on province-wide tests. For complete information about each province’s school rankings you can download the full report in pdf format from the pages you can link to above. PLEASE NOTE: Not all schools are included in these rankings. Schools will be excluded if, for whatever reason, we do not receive enough data from the provincial ministry of education to fairly rate the school. For example, elementary schools in Ontario that do not enroll grade 6 students will not be included in the rankings. The reason for this is that we must have student results data from province-wide testing that is conducted in grade 3 and grade 6. So, if a school is excluded that doesn't mean it is an ineffective school or that the school did something wrong. It just means that we don't have enough student results data to fairly rate the school. Currently, parents choosing independent schools in Ontario must pay full tuition costs. Of course, Premier Wynne will benefit from labour peace since teacher strikes are tremendously disruptive to families. Without government funding in provinces such as Ontario, lower-income families face financial barriers to enrolling in independent schools. Apparently, the BC Teachers’ Council feels that ranking schools is an egregiously harmful activity. Parents can compare each year’s academic results with those of the recent past to see if their school is improving, declining, or just standing still.